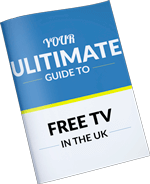 The next chapter in our satellite TV from Europe series is here, how to receive Spanish TV channels in the UK via satellite. If you’re Spanish and missing TV from home or would like to receive TV from the region.This blog is for you. What Satellites For Spanish TV In UK? There is a couple of main satellites of use for Spanish TV in the UK, these are the Astra 1 satellites at 19.2E and Hipasat at 30W. If you’re looking for Free To Air (FTA) un-encrypted TV services form Spain they are slim pickings. If you’re looking for some extra channels you have a couple of options. An expensive subscription-based Movistar subscription, which is kind of like Spain’s version of Sky, or TDT satellite which is like Spain’s version of Freesat, in the sense that once you have your satellite dish and satellite set top box there are no on-going payments. In reality however, it is more like Fransat from France or Tivusat from Italy in the sense that the TDT service is encrypted. If you do not want to be paying out each month for your Spanish TV. I recommend going for TDT. This is still a very new service, but it is a welcome addition in the sense that there was only a handful of Spanish satellite channels that can be received for free beforehand. To receive TDT satellite services. You will need a large satellite dish. You’re looking at a satellite dish of 100cm for TDT reception in the south of the UK and 110cm in the north of the UK as has been suggested on other websites. You will also need a TDT Sat box which can be purchased online to receive the encrypted TV services, a standard generic satellite receiver will not work. The service includes Spanish satellite channels such as TVE1, TVE2, TVE24, Antena3, Cuatro, Telecinco, La Sexta. It also includes children’s TV services TVE Clan, Disney, Boing & Neox. Other channels include TDT Sport, Paramount, Factoriade Ficcion & Dmax. 2- A monthly subscription that must paid from a Spanish bank account. Obviously, your individual circumstances will affect the most suitable option for you. Obviously a 18 month pre-paid smart card is going to cost a bit but obtaining a Spanish bank account may be even more troublesome. There are some functions within the service that are delivered over the internet. As this is geographically locked some services other wise available in Spain will not be available in the UK. As with all paid TV you will be able to access Sports, Movies and other premium based content. I hoped you have found this blog useful. As always please LEAVE A COMMENT in the blog comments section below if you need any further advice. I’m a busy man and can’t help people via e-mail and phone but I do make a point of answering the questions on the blog. Of course, if you are based In Sussex and would like to talk about a Spanish satellite dish installation, please feel free to give is a call or contact us via our web forms.